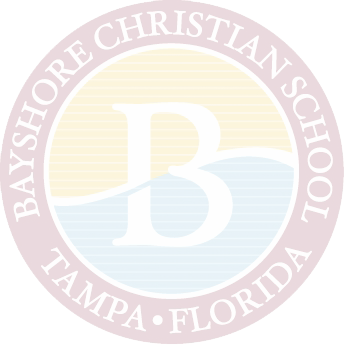 At Bayshore Christian School, we acknowledge that each child is a creation of God with unique gifts and abilities. 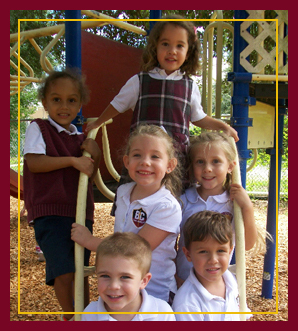 In a loving and nurturing environment, we create a safe learning atmosphere for prekindergartners ages 2–4. We infuse Biblical principles into our academic curriculum. We model Christian values and teach by example. As our little learners build a strong, academic foundation, they also develop spiritually, socially, emotionally, and physically through daily interaction with peers. Our prekindergarten teachers work and communicate closely with parents to ensure we meet each child’s unique needs. With an emphasis on God’s pure, unconditional love for each child, we guide these precious little ones to develop a strong foundation for good, moral character. Our prekindergarten 2 curriculum and activities center around developing social, fine, and gross motor skills. We introduce the basic academic concepts of math and language and explore science through hands-on activities and crafts. The children experience the joy of creativity through participation in arts and craft projects and daily music exercises. Children in prekindergarten 3 learn that Jesus is their best friend; that God goes everywhere they go. They learn to trust Him in all things. During this year, children develop important social, fine, and gross motor skills. We learn to say and recognize the alphabet in order and begin practicing basic writing skills. We explore math concepts by counting, recognizing shapes and numbers, sorting, and patterning. We listen to Bible stories and learn about animals, ourselves, and others. Our three year olds begin learning Bible verses by memory and participate in chapel once a week. In prekindergarten 4, our students learn that they can fully rely on God throughout life as they grow spiritually, academically, socially, and physically. Throughout this exciting year of growth and learning, we begin developing phonemic awareness, vocabulary, and comprehension skills. We learn to recognize letters and sounds, write upper and lower case letters, write our first and last name, and read basic words. We work on our math skills by counting, sequencing, patterning, and graphing. We explore our world through thematic units covering our environment, weather, feelings, history, holidays, and basic Spanish. We develop spiritually as we hear weekly Bible stories, learn verses by memory, and attend weekly chapel. We offer full day prekindergarten for students ages two through four with a systematic, developmentally appropriate approach to learning. We utilize a theme-based learning approach, enhanced with our unique curriculum. Heavily based on phonics, our students are able and avid readers by age four! We expose our youngest students to science through hands-on learning experiences. We make social studies come alive by inviting special guests dedicated to community service, health, and safety. We immerse our students in mathematics. By kindergarten, they are comfortable with graphing and basic addition. We enrich our curriculum with instruction in visual and performing arts, Spanish, library, physical education, and computer. We offer before- and after-school care and enrichment programs including dance, Christian Karate, Mad Science, robotics, and Clay Club.